Fans add to minecraft client mods with new recipes and capabilities required to like a new mod called Pineapple Mod. Now in the game you will be able to collect pineapples and of course eat them. However, this new resource can be spent on crafting more useful subject, namely, Golden pineapple, which would essentially be applied to you as standard Golden Apple. 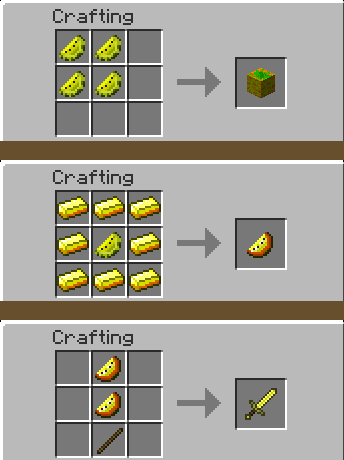 In addition, Pineapple Mod allows crafting not only edible items, but surprisingly still and all types of armor, as well as a variety of standard tools that strength will look above the iron.